We thank our advertisers for their support! For more information on advertising opportunities, email info@npcberkshires.org. All listings are free to local businesses. 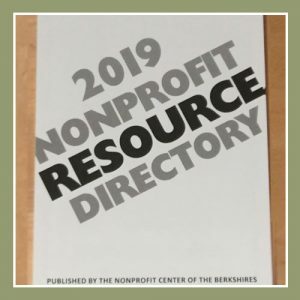 If you’d like to be included in the 2nd Annual Nonprofit Resource Directory, please email elizabeth@npcberkshires.org the following information: Business Name, Address, Phone, Email, Web site, Description/services (Limit 12 words). View the directory online here.